Hi all! 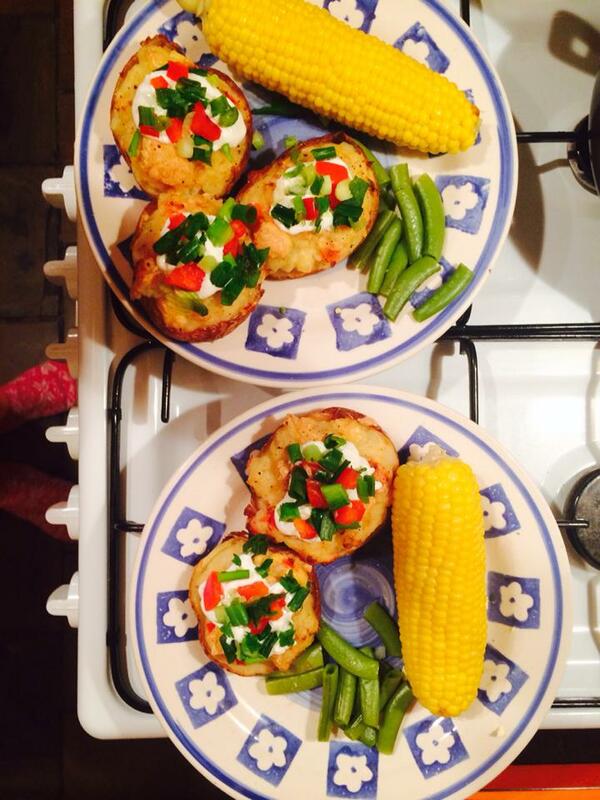 I told you it wouldn’t be too long until I did another recipe blog this time and BOY….do you have a WINNER here!!! I am SO excited to share this recipe with you I am just going to get right into it. You do not deserve to wait any longer. STEP 1 – Gather your ingredients. 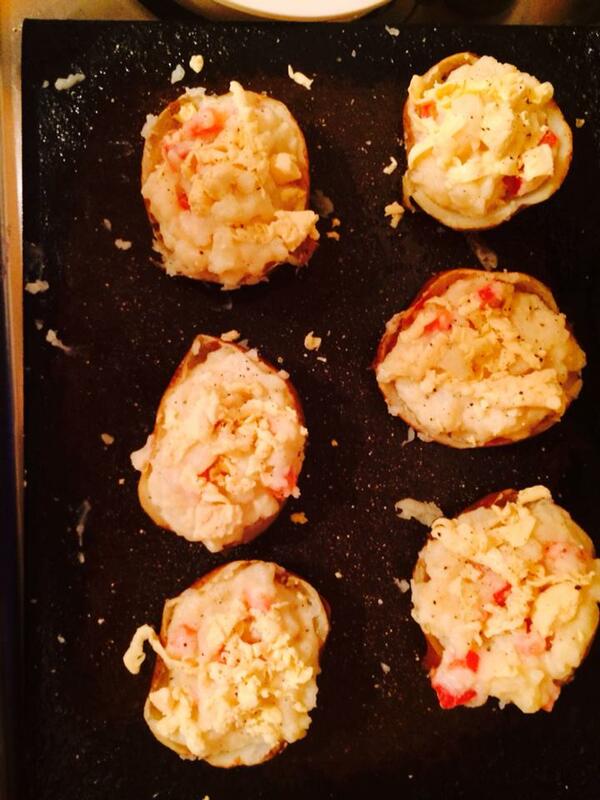 For this I used 3 large brushed potato’s, extra virgin olive oil, Nuttlex butter, half a red capsicum, 2 spring onion stalks, soy cheese, soy milk, salt, pepper, 2 garlic cloves, cayenne pepper, garlic salt, Tofutti cream cheese and 1 lemon. 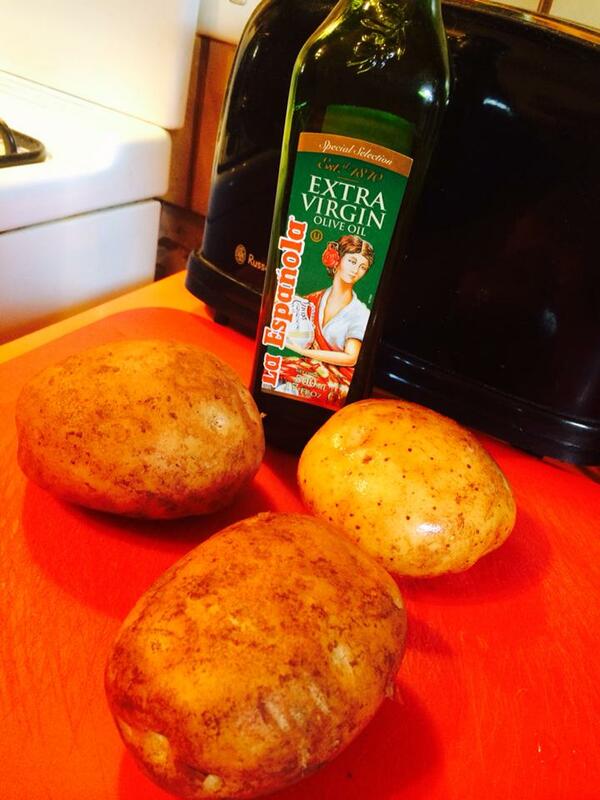 STEP 2 – Wash the 3 potato’s and leave the skin on. Coat in olive oil and place in the oven for about 40 minutes at 200 degrees or until they are brown and cooked through (keep checking). 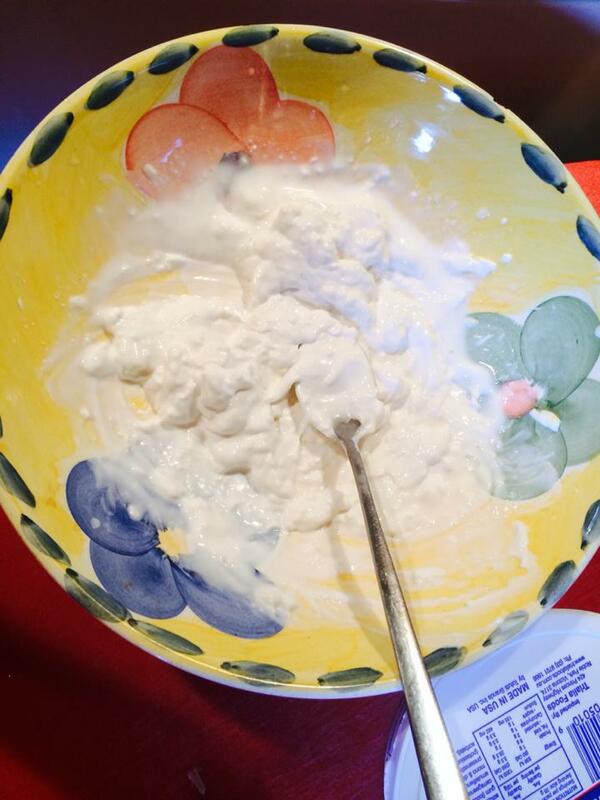 STEP 3 – Once they are baking you can prepare your “sour cream”. Since I could not find vegan sour cream at my grocery store I got creative. 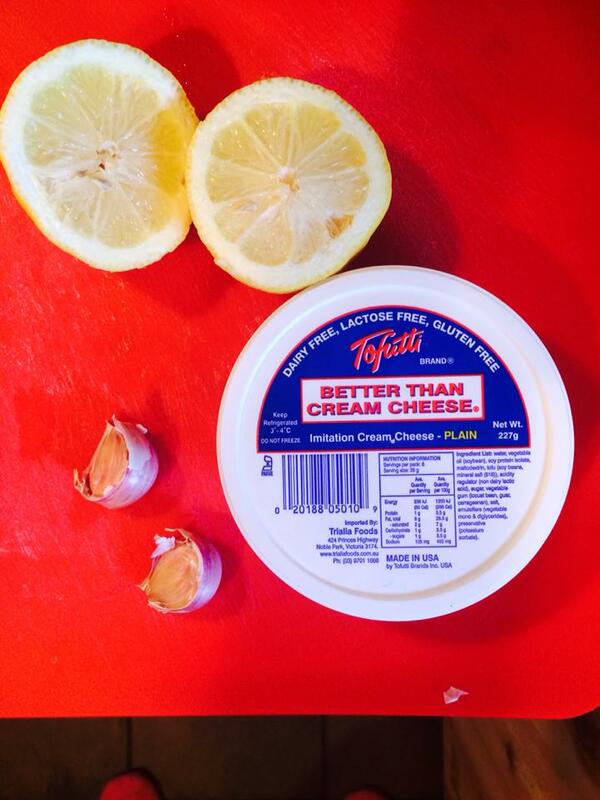 Mix some Tofutti (or other brand) cream cheese with 2 crushed garlic cloves and the juice of 1 lemon. Mix around and then refrigerate. 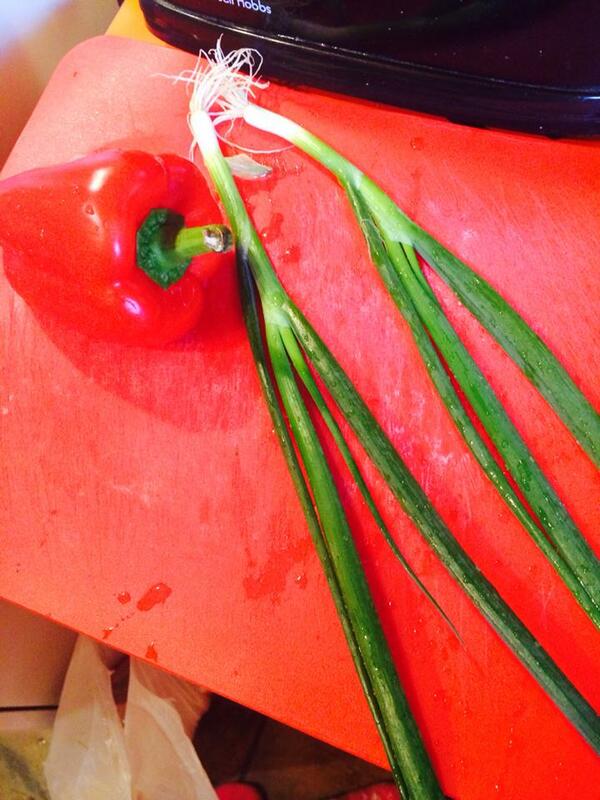 You can also now chop up the red capsicum and spring onion. 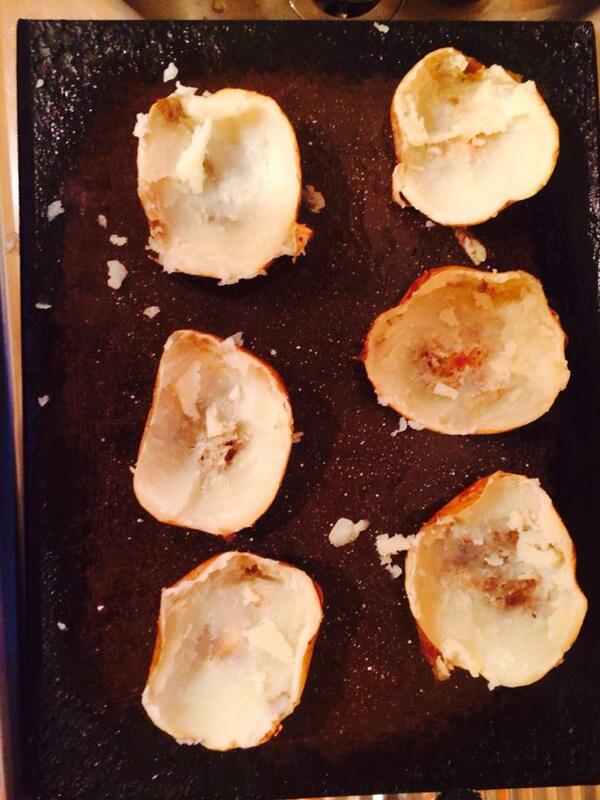 STEP 4 – Once the potato’s are baked, take them out of the oven and carefully chop in half. Scoop out the middle and place into a separate bowl. 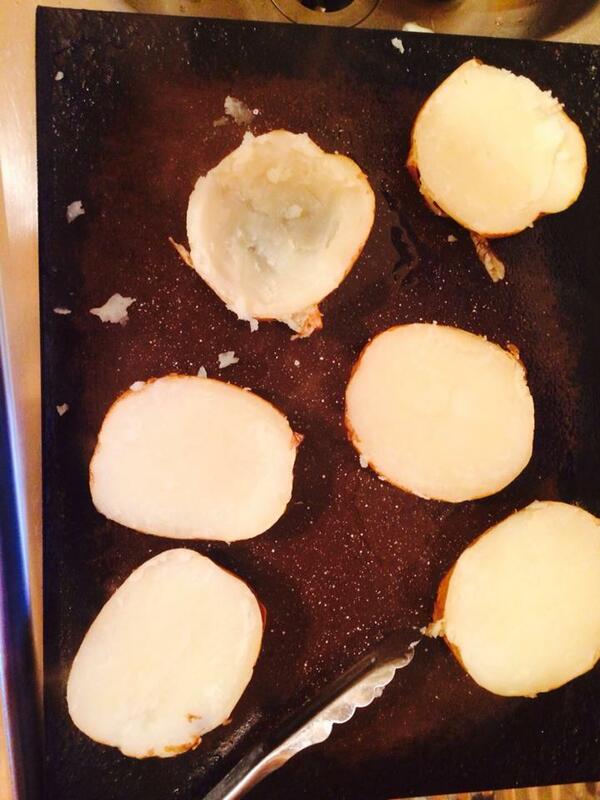 Its ok to leave a little bit of potato still in the skin. 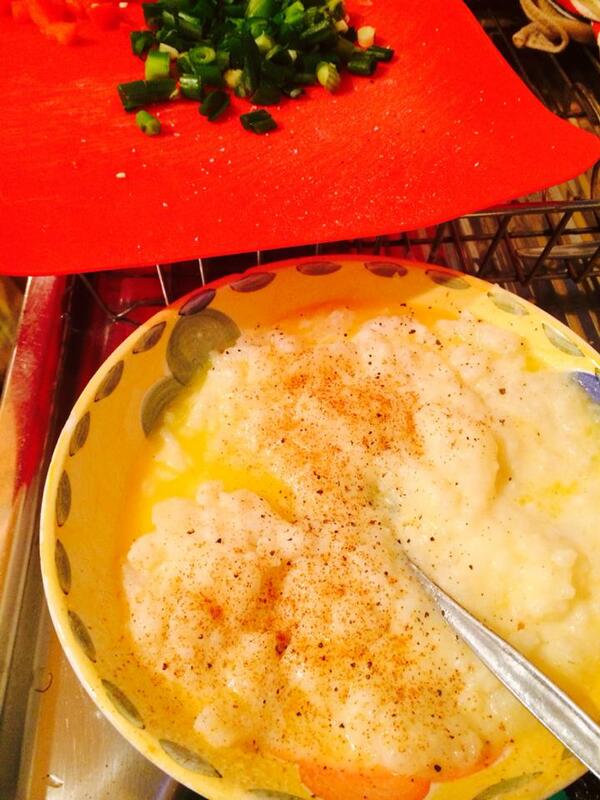 STEP 5 – In the separate bowl roughly mix a little soy milk and melted Nuttlex into the potato whilst also adding salt, pepper, cayenne pepper and garlic powder to taste. 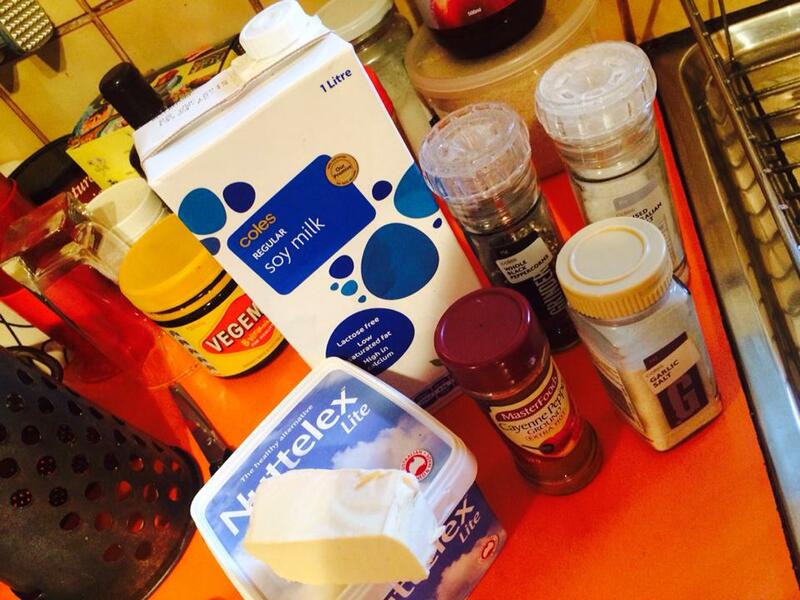 You can also add yeast flakes. I would have but didn’t have any. Next time! 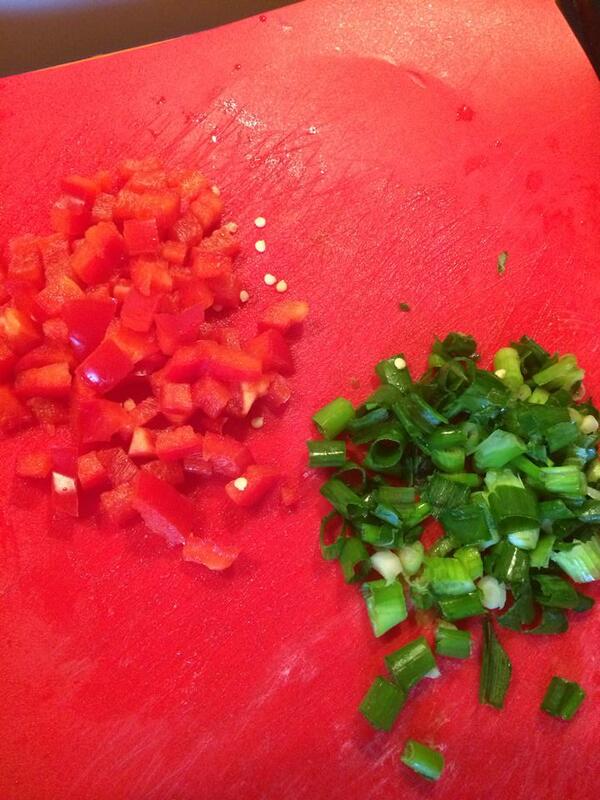 Add some of the chopped capsicum in also. 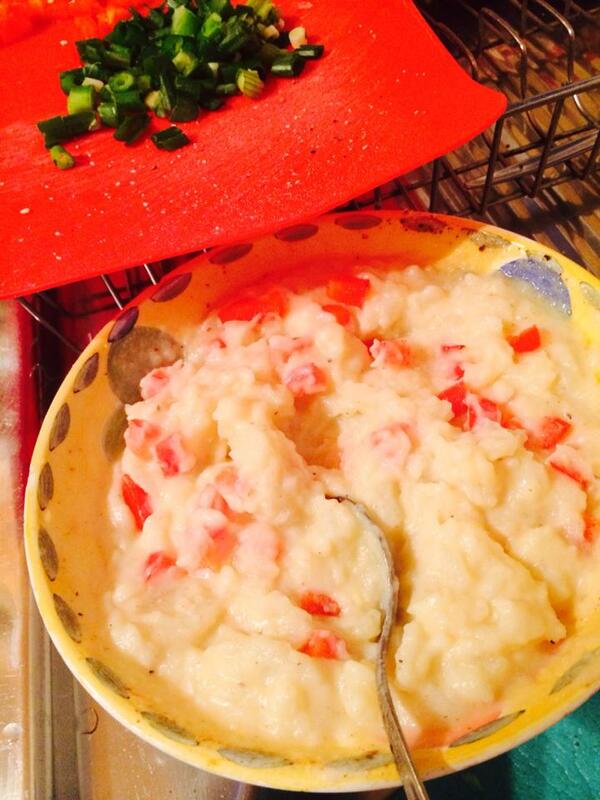 STEP 6 – Once mixed, place some mixture in each potato and then grate some soy cheese over the top. More salt, pepper or spices to top depending on your taste. 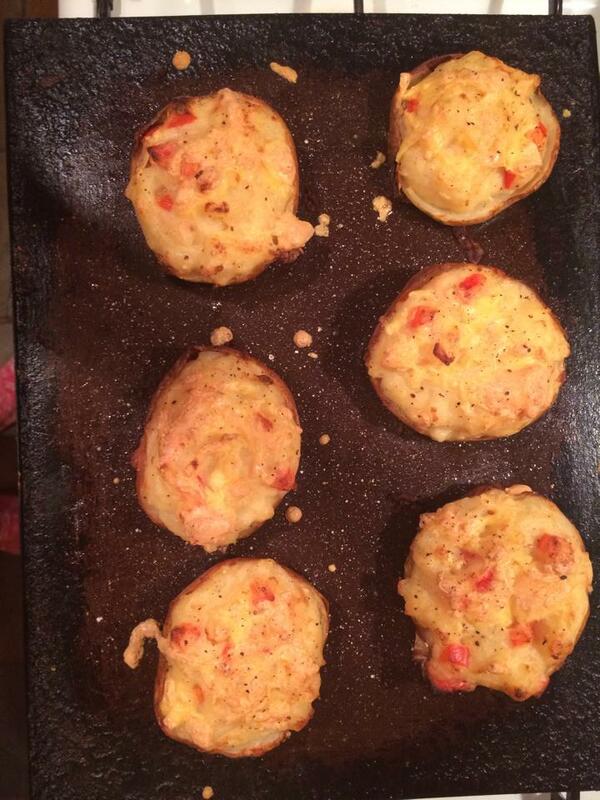 Pop back into the oven and cook for approx. 30 minutes or until browned inside and the skin crispy on the outside. 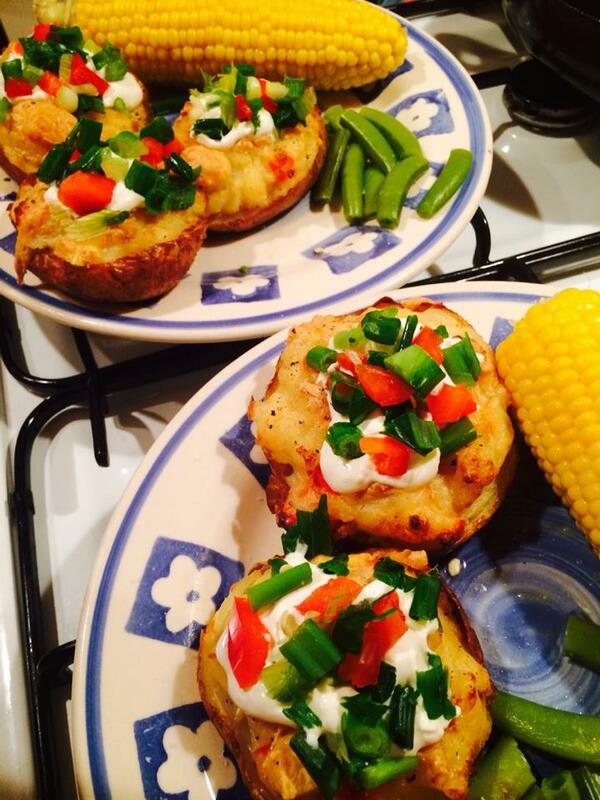 STEP 7 – Add some “sour cream” on top and garnish with some spring onion and capsicum. 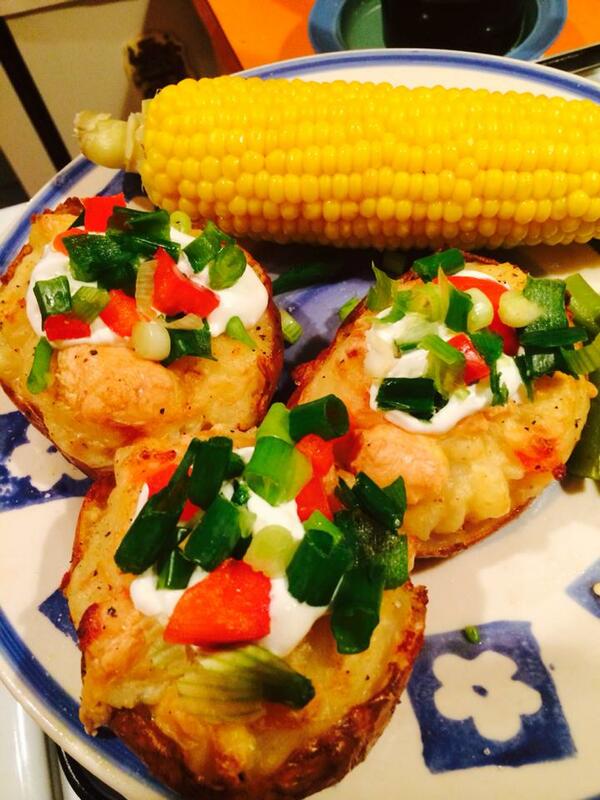 This entry was posted in Uncategorized and tagged baked potato, comfort, comfort food, cooking, crispy, Cruelty Free, crunchy, crunchy food, health, healthy, healthy food, plant based, potato, vegan, vegan baking, vegan comfort food, vegan cooking, vegan eats, vegan food, veganism. Bookmark the permalink. I am soooo making these! 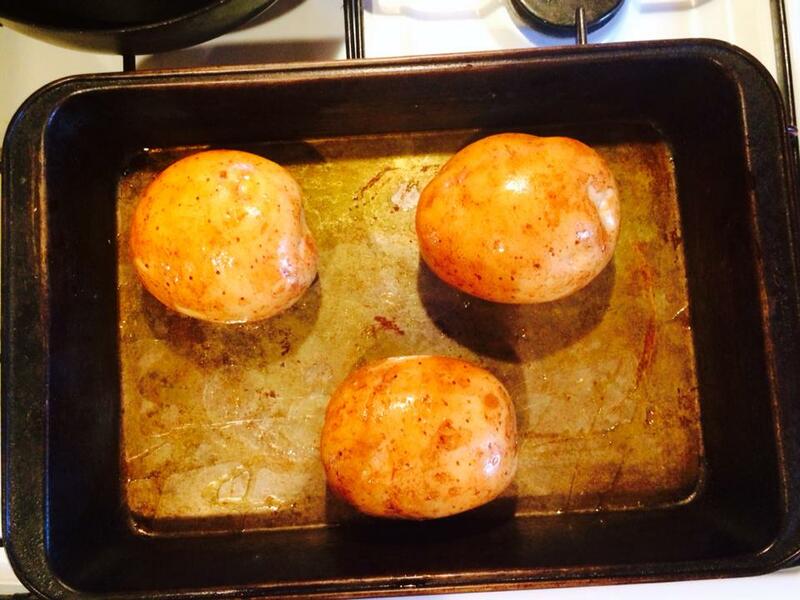 I’m always impatient and end up taking potatoes out of the oven before they’re crispy. It took me to a page! What do I do now?